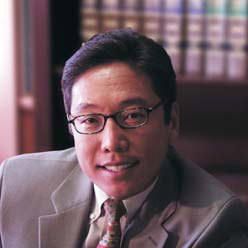 Sung Lee was admitted to the Florida Bar in1996, and the U.S. District Court, Middle District of Florida, in 1998. Sung earned a Bachelor of Science in Business Administration degree from the University of Florida in 1992, and Juris Doctorate from Georgia State University in 1995. He began his legal career as an Assistant State Attorney in the Seventh Judicial Circuit before going into private practice. Sung is a member of the St. Johns County Bar Association (President, 2000-2001), Florida Bar Local Affiliate Outreach Committee (2002-2005), Florida Bar Traffic Court Rules Committee (2006-2009), Florida Bar Grievance Committee (2006-2009), as well as the Family Law and Criminal Law Sections of the Florida Bar. Sung practices in the areas of criminal defense and family law in St. Johns and surrounding counties throughout Northeast Florida.